So what is baobab? It’s basically the “King of Superfruits”, that’s what! Produced by the African baobab tree, it’s a raw food that’s bursting with nutritional benefits. It has more antioxidants than the other more commonly known fruits — acai, blueberries, pomegranates and goji berries. Baobab is also packed with soluble fiber as well as high levels of vitamin C, magnesium, potassium, iron, and even calcium! 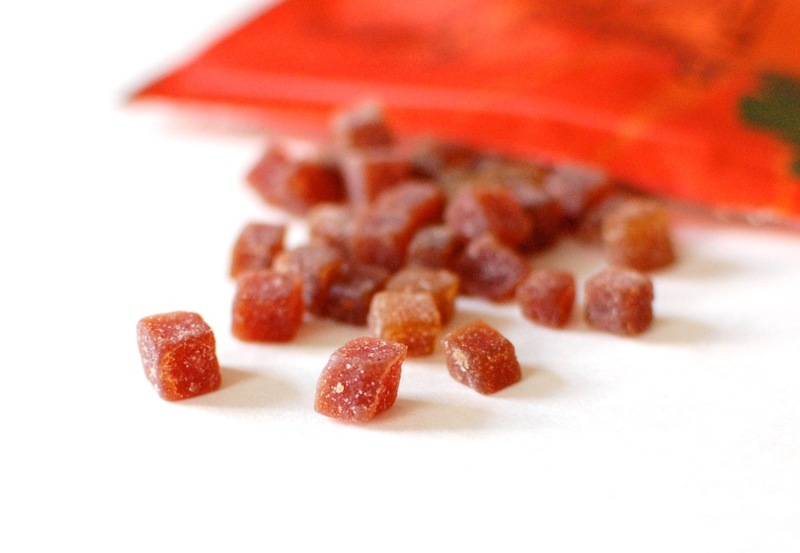 Baobest Baobab Fruit Cubes – These are chewy little fruit cubes made of baobab powder, pectin, and all natural fruit purees. They come in mango, strawberry, and raspberry flavors. There’s absolutely nothing artificial — just natural, raw, vegan/gluten-free fruity goodness! 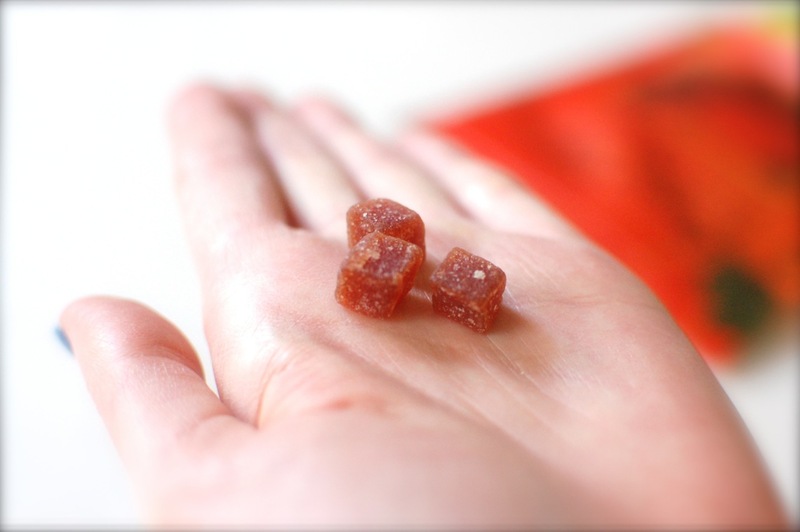 Tiny cubes of healthy goodness! Baobest Baobab Fruit Powder – This is made with 100% organic baobab fruit pulp — That’s all! It’s ethically sourced from South Africa and is certified organic, as well as Kosher. Baobab powder can be used in a variety of things, including smoothies, sports drinks, baked goods, and even cosmetics (for the anti-aging effect of antioxidants). I used the Baobest powder in a fruit/soy yogurt smoothie and it was pretty good. Note that it does thicken things quite a bit due to its’ high pectin content. I used the suggested 2 tablespoons the first time, but opted for just 1 TBSP for my next one and it worked out much better. The taste is slightly sour, so it’s probably best to start out with a smaller amount to see how it effects the flavor of your smoothie/drink/baked good/etc. 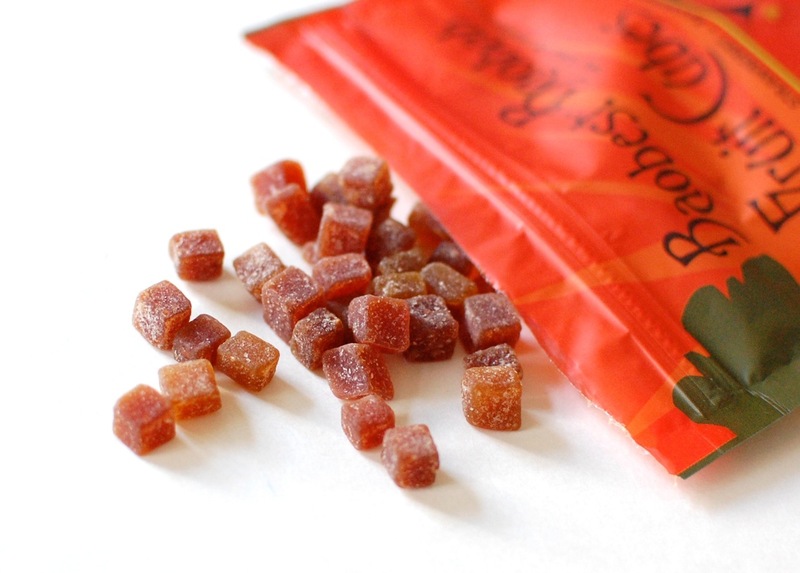 Baobab Foods has kindly offered one of my lucky readers their own bags of fruit cubes and fruit powder to try for themselves! Just enter via the Rafflecopter below. Disclosure: I received these products for review purposes. I was not compensated in any way. All opinions are my own. Giveaway open to US residents only, 18+. Prize fulfillment to be handled directly by Baobab Foods. Id use it in smoothies! I think I would try out the fruit powder in a smoothie first and see how it tastes. I would put it in a smoothie. I will be making them a lot now that the weather is getting warmer. mixing into my son’s purees! Thank you for the giveaway. I would use the powder in smoothies. I would use the Baobab Fruit Powder in our smoothies, I would love to try this product! I would use it in smoothies, and in baked yummies like oatmeal cookies. Try it in a smoothie. I’d top it on yogurt ! I’d blend it into very nutritious fruit smoothies! I would put it in my morning smoothie. I would put it in my yogurt. I think it would make a great addition to my breakfast. I’d mix it in my morning breakfast cereal for a Vitamin C boost! I have a green smoothie every day. The powder would be a great smoothie booster. I would mix it in my yogurt. I am interested in this super fruit. To make different blender drinks !!! I use it in a pie! I would try it in my protein shakes. I would mix it into my orange juice. In addition to being a brilliant addition to smoothies, I think I would like to experiment in using the powder in baking! Maybe use it instead of cocoa powder in brownies and see what happens? Maybe some fruity blondies! I would put into a smoothie.